Tucked in a corner a few roads away from Senado square, do not be fooled into thinking this is in Senado Square itself, this is probably closer to Casino Lisboa than Senado. Expect long queues and very little space to sit and dine. This establishment is mainly focusing on tourist who take away. Verdict? 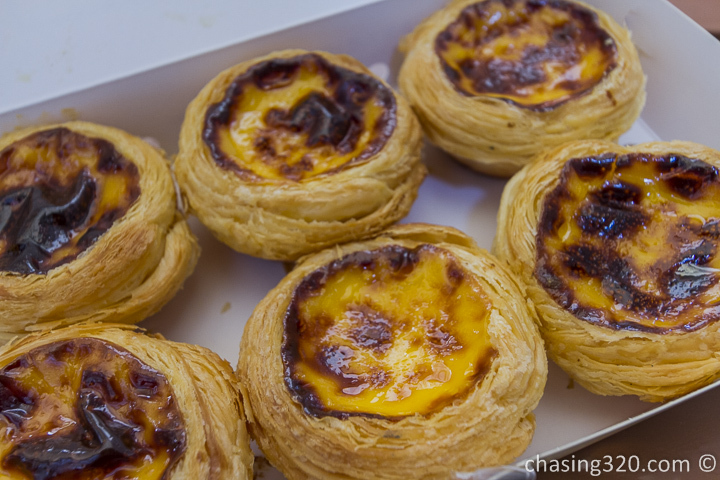 I would say on par with Lord Stow and would rank joint third with Lord Stow on my sampling of Portuguese egg tarts in Macau. If I had to choose between the two, I would say Madeline’s edges it by a flake. The texture is smooth and crust lightly buttery. Enjoyable yet comercial. It lacked the pack of the buttery San Hou Lei but I am a person who enjoys a mesh of contracting textures, clash of sweet and salty and Madeline’s will make the grade. It is a good egg tart, like Lord Stow’s.